Charles Wright stands as Senior Associate for Matthews Multifamily Advisors™, a division of Matthews Real Estate Investment Services™. Charles and his team specialize in advisory consulting and the disposition and acquisition of multifamily properties. He has managed transactions and forged ties with private investors and some of the world’s largest corporate institutional investment companies, publicly traded REITs, private equity funds, developers, and high-net-worth investors. 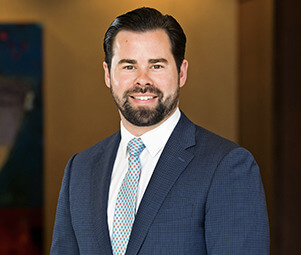 Leveraging his comprehensive knowledge and unrelenting work ethic, Charles guides his clients toward their investment goals through commercial real estate. Prior to his current role, Charles established himself as a top sales producer at Grinds Coffee Pouches, a San Francisco startup funded by Investors of ABC’s Shark Tank. During his tenure, he managed transactions and created valuable relationships with Major League Baseball, National Football League, and National Hockey League teams.